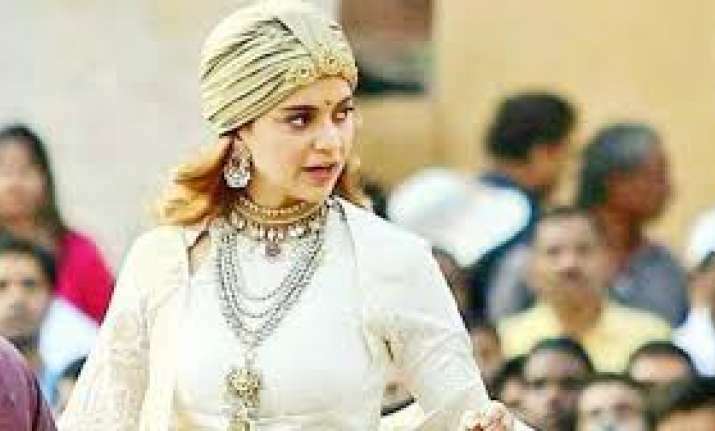 Bollywood actress Kangana Ranaut was considered the best person to take over the mantle to complete patchwork and to direct a few additional scenes for “Manikarnika – The Queen of Jhansi”, when director Krish moved on to his new film, says producer Kamal Jain. The movie has been in the midst of a controversy ever since the news of Kangana stepping in behind the camera for it emerged. Clearing speculations about the film, Jain said in a statement: “The additional shoot of the film is presently underway at ND Studios at Karjat, near Mumbai. After the last schedule was over, we saw the line-up of the film. On seeing it, we decided that apart from the patchwork, we also needed a few additional scenes. “Once the scenes were written, we approached Kangana for additional dates. But Krish had moved on to his next project by then. Given how driven and creatively involved Kangana has been on this project since its inception, we realised she would be the best person to take over the mantle. Jain said they have an aggressive production schedule planned as they are committed to releasing the film on January 25, 2019. Actor Sonu Sood has walked out of the film owing to his professional commitment towards “Simmba”. However, Kangana hit back at him, claiming he left the movie as he “refused to work under a woman director”. On his part, Sonu has denied this. Jain explained: “While we managed to get matching dates from Danny Denzongpa, Jishu Sengupta, Ankita Lokhande and others, we got stuck on Sonu’s combination dates and continuity look as he has grown a beard for ‘Simmba’. “Hence, we had to let him go. Zeeshan Ayub now plays the character of Sadashiv”.